Recently, I opened up my Bible and a piece of paper I tucked in it years ago caught my attention. On the paper were some thoughts had written down regarding the lies our Enemy tries to get us to buy in to. It was a timely reminder for me and I thought I’d expand on the thoughts. There are seasons in my life where the voice of my enemy seems overpowering — like a drum in my head, it’s so loud it’s impossible to ignore. Just like this Assyrian leader, my enemy whispers lies into my heart and my mind to discourage me. To strike fear in my heart and immobilize me. His goal is to keep me from even putting up a fight in hopes that I might lift my hands in surrender — raising my white flag. Sometimes his lies have elements of truth, but are still false. They are meant to keep you second guessing yourself and God’s pleasure with you. In verse 7 of this story, the Assyrian leader tries to convince Judah that God won’t deliver them because Hezekiah tore down shrines and altar (to false gods). It’s sounds ridiculous and such an obvious ploy, but Satan is crafty and knows when we are susceptible to his lies. So what is it the Enemy is whispering in your ear? What lie is he trying to convince you of? What fear is he trying to convince you is bigger than God? Stop listening to Satan’s lies. Not to oversimplify it, but it’s our responsibility to curate our thoughts. (2 Cor 10:5) It takes time, practice and discipline, but you can stop listening to his lies. There may be seasons where you are better at it than others, but stay committed to silencing Satan’s lies. Replace the Enemy’s lies with God’s thoughts toward you. The next time you hear a lie from Satan, stop, quiet your mind and ask God what He thinks of you. Ask him about what you’re hearing and what he has to say about it. (Eph 2:10) If you struggle with insecurity, this may be more difficult for you. 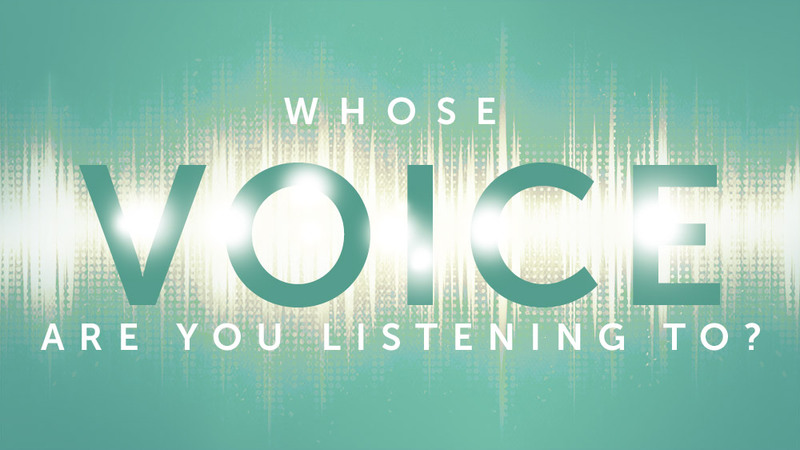 However, the more you can commit to #3, the better you will be at identifying God’s voice. Put God’s Word in, so you will get God’s Word out. In Luke 4, when Jesus was combating Satan in the desert, it was the scriptures that Jesus used to defend himself against the strategy of the Enemy. The more you know what God’s Word says, the more you will be able to know when Satan is trying to twist it, like He did with Jesus in the desert. This is not an exhaustive list, so if you have something that has worked for you share it in the comments.